One of my favourite all-time drinks is Nestle Bliss Low Fat Yogurt Drink, I love all their fruity variants especially Kiwi. Not only it’s good for digestion but convenient, delicious and healthy. 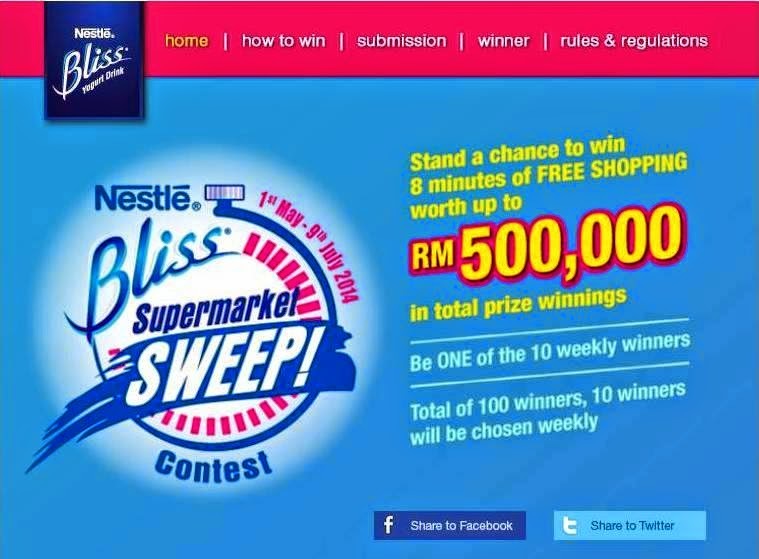 Now I am dreaming… what if I’m one the Grand Prize winner of the Nestle Bliss Supermarket Sweep Contest. 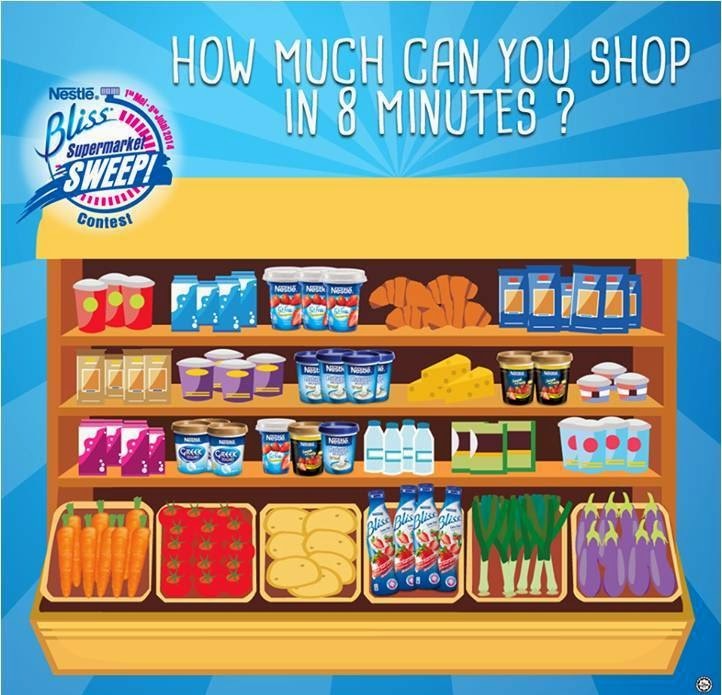 Currently Nestle Malaysia is running an 8 minutes Supermarket Sweep Contest worth RM500,000 from 1st May to 9th July, 2014. Wah! I wish to win the Supermarket Sweep Contest because I can’t wait to grab as many things and piled up my trolley as high as I can in 8 minutes. 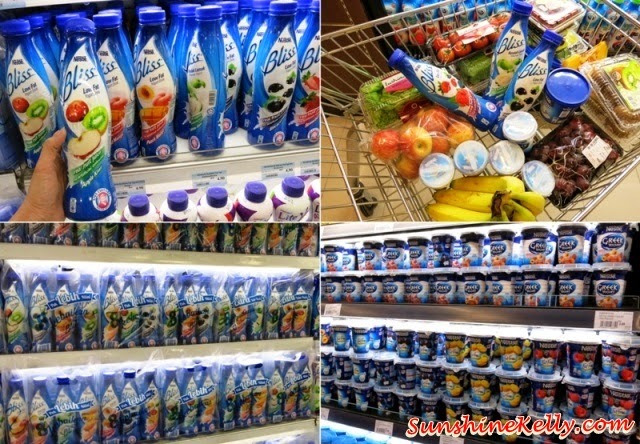 Feel the sense of a shopaholic satisfaction, achievements and a month of groceries shopping for my whole family. 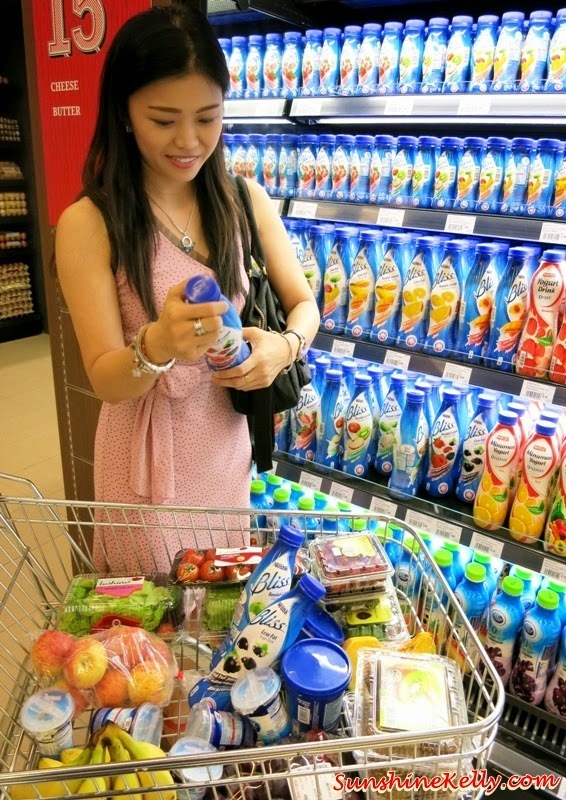 I want to buy lots of Nestle products which my family member are consuming everyday like milk powder, milo, nestum, yogurt, drinks and other household products. You too can be one of the winners, all you need to do is buy any of these Nestle Chilled Dairy products such as Nestle Bliss Yogurt Drink, Nestle Fat Free Yogurt, Nestle Natural Set Yogurt, Nestle Greek Yogurt and Nestle Smooth & Fruity Yogurt. Here are 3 easy steps for you to stand a chance to win a spot for the Nestle Bliss Supermarket Sweep. Step 1: From 1st May to 9th July buy a list of participating products that I have mentioned above. Alternative, you could submit your entry via post also. 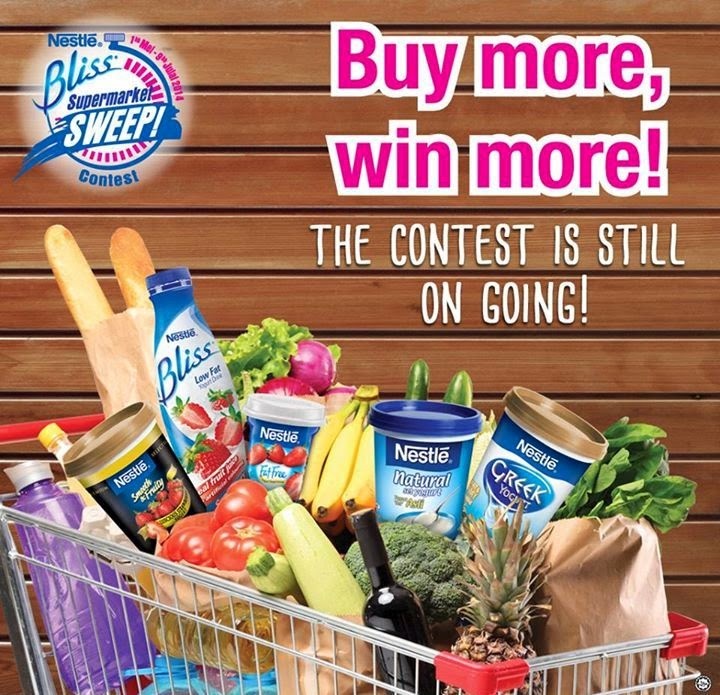 All you need to do is purchase the participating Nestle products, get the Nestle Bliss Supermarket Sweep Contest for the participating supermarket, answer the questions and then post your entry.